A Star to Steer Her By! 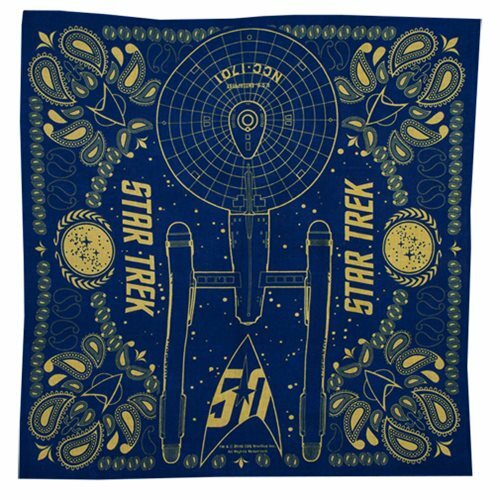 The starship Enterprise takes the spotlight on this deep blue, 100% cotton Star Trek 50th Anniversary Bandana that's perfect as a head wrap or around the neck. It's a great way to demonstrate your loyalty to the United Federation of Planets and to celebrate the 50th anniversary of Star Trek. Ages 13 and up.